A court has ruled that a disabled woman should be awarded £5,000 compensation by the government contractor Atos, after a dishonest report by one of its assessors led to her being awarded the wrong level of benefits. Vanessa Haley, from Huddersfield, told the county court in her written evidence that the assessor had tried to “impede her entitlement” to the enhanced rate of the daily living component of personal independence payment (PIP) by “falsifying” her assessment report. The assessment report also led to her being denied any PIP mobility support. She was awarded the compensation after the court upheld her claim of maladministration against Atos and her allegation that it was responsible for causing her health conditions to worsen. The news of her court victory came as the minister for disabled people gave evidence to the Commons work and pensions committee yesterday (Wednesday), as part of its inquiry into the PIP and employment and support allowance assessment processes (see separate story). Disability News Service has been investigating claims of dishonesty at the heart of the PIP assessment system for more than a year, and has heard from nearly 300 disabled people who have made such allegations. Haley was previously on the lower rate of care and mobility for disability living allowance (DLA), but the impact of her multiple health conditions had worsened since her last DLA award in 2013. The Atos assessor, a paramedic, visited the former teacher and film-maker at her home in January 2016 as part of her reassessment for PIP, which is gradually replacing working-age DLA. But she told the court that he “consistently and repeatedly ignored” her answers and evidence in his report, and misrepresented what he saw during the face-to-face assessment. One example she gave was that he described her as looking “well kempt and casually dressed”, when she had not washed her hair in 10 days and was wearing pyjamas and a dressing gown. He also said he had seen her “move her body around the sofa herself and raise her legs on and off the floor herself”, and claimed that she was able to “lay back and put her head against the sofa”. But she said she was seated when he came into the room and her legs were already up, and she only lifted them with her hands to put them on a cushion. She said: “I tried to move myself but couldn’t as I don’t have the upper body strength. “My mum offered to lift me but she’s 73 and that’s not fair to her, so I sat in a great deal of pain for the rest of the assessment. The assessor said that because of her movements on the sofa and because she said she could drive an automatic car – which he said “suggests adequate power and movement in her limbs and joints” – she was “able to move for more than 200 meters (sic) safely and reliably”. The assessor also claimed that she had been “able to recall all of her medical details and history without prompting or referring to written notes”, when she had actually had to pass a written list of her conditions to her mother to read out for her. The county court awarded Haley £5,000 when Atos failed to offer a defence to her claim for damages. The battle to secure the correct level of PIP support has had a significant impact on her mental health, leaving her unable to leave her home. She now experiences “constant paranoia” about being misdiagnosed by GPs and other healthcare professionals. She has also begun self-harming. Haley, who has significant physical and mental health impairments, was also left so depressed by the assessment process that police had to be called to her home last year after she threatened to take her own life. As a result of the misleading and dishonest assessment, she was originally granted only the standard daily living rate of PIP, at £55 per week, instead of the enhanced rate, at £83, and was not awarded anything for mobility. She was only awarded the enhanced rate of daily living and the standard mobility rate after appealing to a tribunal, which ruled in her favour in March this year, 14 months after the PIP assessment took place. Because of the original decision, she was forced to rely on credit cards and financial help from her family, and was left severely in debt. Haley said she had only taken the court case because she was persuaded to do so by her disabled friend Bret Lowther, who was a law student. He took his own life in October, but his efforts helped secure her court victory. She said: “He and most others saw the toll that it had taken on me and how much further my health deteriorated. “I agreed to it, because he was going to deal with all the legal process and complaints to the various bodies. “I didn’t do it for the money, but Bret said that there had to be a monetary value attached to it. She said it was “exhausting constantly being worn down by the machine that is the Department for Work and Pensions and the PIP system. She said she was “angry” that she and other disabled people were being “dismissed and lied about”, because “through no fault of our own we have found ourselves in unfortunate and reduced circumstances. 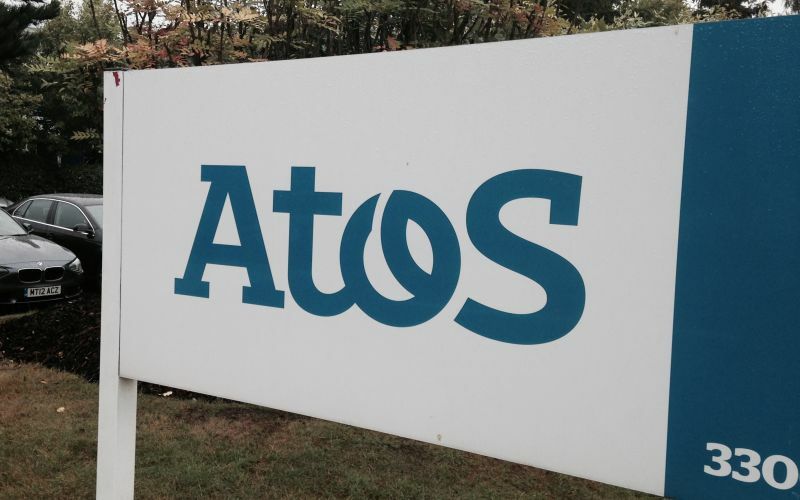 An Atos spokesman said: “We were made aware this week of this judgement and our initial internal investigation indicates that we did not receive the claim form at our registered office which is why no defence was filed to the claim.